We're sharing the most popular Get Out! posts from 2018 that will make you want to spruce up your outdoor space. We’re close to January which means many of us are still in the dead of winter. Whether you’re enjoying warmer temperatures or for those of us wishing for them, we can stay inspired by all the modern outdoor goods we feature throughout the year in our Get Out! column. In case there’s anything you missed, we’re sharing the most popular posts from 2018 that will make you want to spruce up your outdoor space. 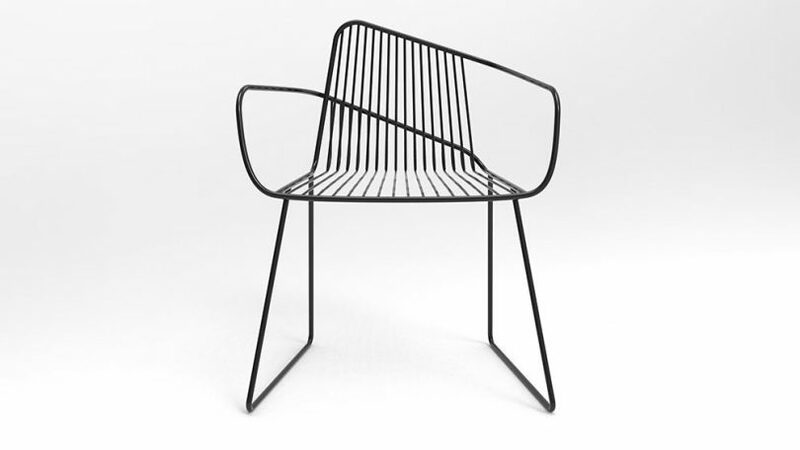 Launched at this year’s SaloneSatellite during Salone Del Mobile, the wireframe ArNO Chair, by Bright Potato, features bold lines suggesting movement, much like a summer breeze. Designed by Helsinki-based designer Hanna Särökaari, the Verso adjustable stand allows you to grow multiple groups of plants or herbs while having the freedom to move or adjust them thanks to its screen-like design. RT1home is a small Los Angeles-based brand that offers a curated selection of modern gardening accessories and tools that are made in Japan or designed and manufactured in the United States. Where to hang art next to a door"